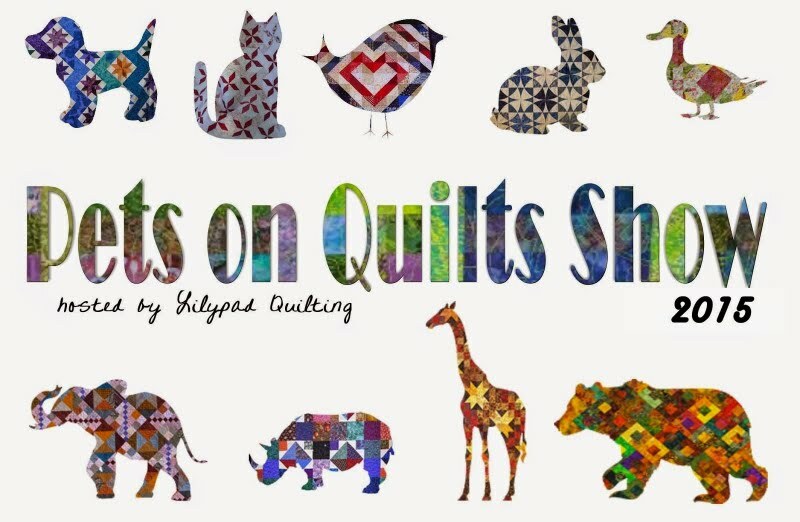 It's that time of year again where my friend Jacque, Padsworth and Dragon Drop over at Lilypad Quilting are gearing up to host another Pets on Quilts Show for 2015. This will be my 2nd year to participate..... well, Towa's 2nd year to participate. :) She was in a bit of a grumpy I-don't-want-to-be-photographed mood last year, so hoping this year she's a little more cooperative. You can see more of last year's entry here. Anyway, it's a quilt show that's full of fun! Jacque is a gracious hostess and the other participants I found to be oh-so-nice. There are many great sponsors including Abbi May's online fabric store and Green Fairy Quilts.... just to name a few, with lots of chances to win prizes.